If you're having a barbecue and don't want your good time ruined by mosquitos, you might turn to a citronella candle. Citronella candles are simply regular candles that are made from the essential oil taken from citronella grass – a type of lemongrass. This means they're attractive to consumers who want a natural bug repellent alternative to DEET. Bugs aren't only annoying, after all – they can also spread diseases including West Nile and Zika viruses. But are bugs really repelled by simply candles? Are citronella candles safe to use indoors? And are they harmful to animals? Citronella candles are as cheap as any other kind of candle. Citronella oil has a repelling effect on mosquitos, and to spread its scent, all you need to do is light the wick. The smoke from these candles, too, helps ward off mosquitos. The consensus among scientists is that although the oil from citronella candles does repel mosquitos, the candles aren't "more effective than any other candle would be," said Joseph Conlon, a technical adviser for the American Mosquito Control Association, to AARP magazine. Mosquitos don't like the smell of citronella, but they're fully capable of just avoiding the smoke from the candle and attacking you from the other side. For another all-natural solution, Conlon recommended using fans in mosquito-prone areas instead, because mosquitos are weak fliers. 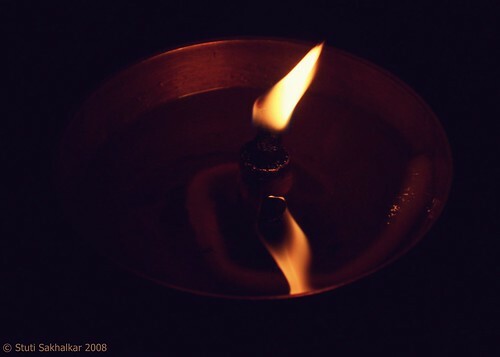 Though there is, of course, the classic citronella candle in a plastic bucket, many candle companies have made citronella candles available in pleasing, attractive holders. A quick search of citronella candles on Amazon picks out one in a marbled tin, several in mason jars and even luxury citronella candles in striking glass jars. If pets ingest citronella candles, coils or the oil itself, they may display symptoms ranging from an irritated stomach to central nervous system depression, according to the American Society for the Prevention of Cruelty to Animals. And when pets inhale the smoke from citronella candles, it can cause breathing issues. Despite this, the toxicity of citronella candles in humans is about the same as any other scented candle. The Environmental Protection Agency has found that citronella itself poses minimal risk to human health, even when applied directly to the skin. Still, like other scented candles, citronella candles can lead to poor air quality if used indoors, in part because all scented candles produce more smoke and soot than non-scented candles. Because of this, they should only be used outside. This one is obvious. If it's raining or windy, your candle is going to have a hard time staying lit. A bug spray containing DEET, oil of lemon eucalyptus or picaridin is safe for most people, even pregnant women, and is the better choice in this and most situations. Picaridin is even safe for use on infants. Jaime is a writer living in New York City. How Do Citronella Candles Work?